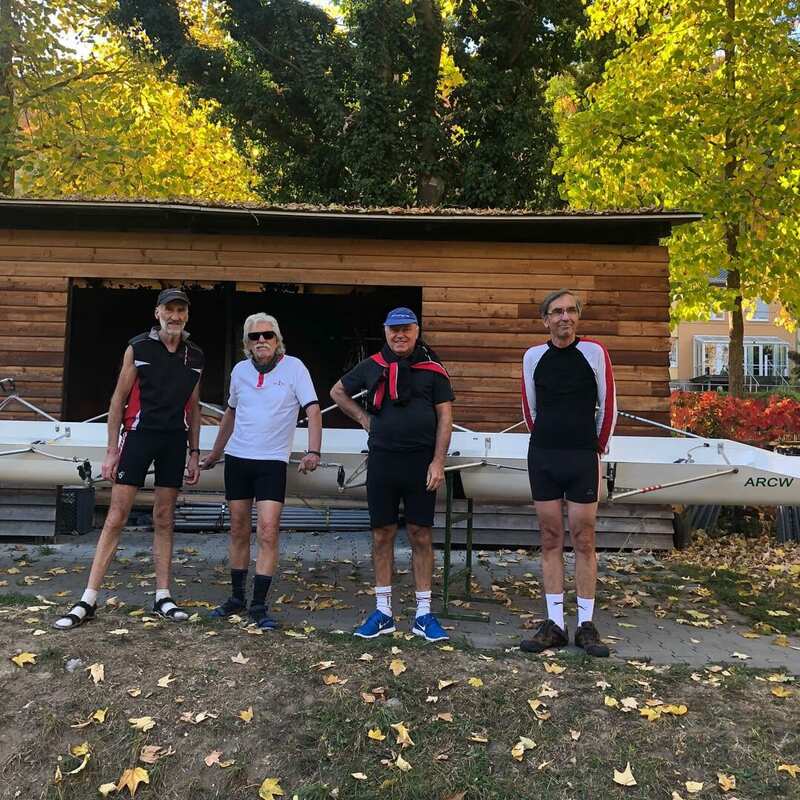 Last weekend some of the racing men’s Masters, Andy Napier, Peter Harvey, Colin Cracknell & Peter Hoile, along with the supporters club, wives & daughters, took up a very long outstanding invitation from one of our former members (when we were across the river), Jochen Kleinertz of the Akademischer Ruderclub Würzburg, (ARCW) Germany. We entered a MMH4x- in the Bocksbeutelregatta which is on the Main River every October. This is a head race for all classes of boats, from juniors to Masters. 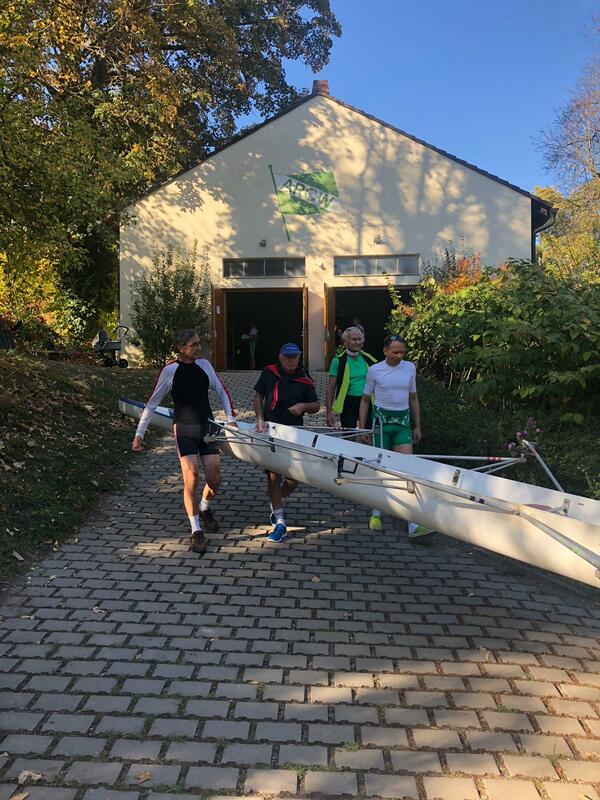 The course is 4.5km from the wine town of Randersacker downstream to Würzburg, finishing by the rowing club. ARCW lent us a boat, which introduced problem 1: it was steered from stroke with left foot, and, even bigger, problem 2: stroke had never steered before. 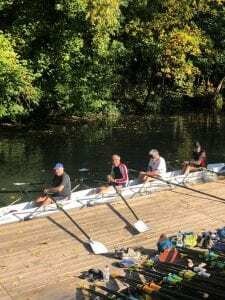 Anyway as we were the only H’s we had to beat an aggregate time of 16:30 mins but only managed 17:28, we put this down to some of the steering & the temperature being in the late 70’s. Most crews who raced a time did not manage it due to lack of stream this year. 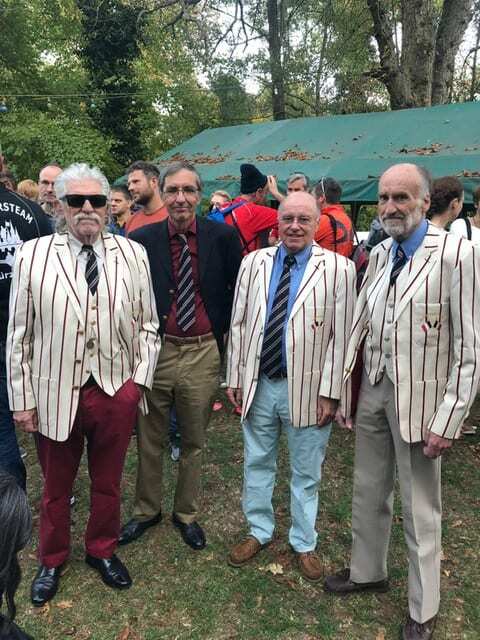 The aprés-rowing went well with the other rowers & supporters interested in the Mortlake club blazers. Small world, one of the rowers use to row at Quintin when he was working in London. Another guy used to row at Merv’s old club Liverpool Victoria when Neil Thomas (past ARA president) was rowing there. 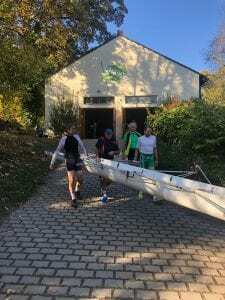 We could not thank Jochen, his family & the members of the ARCW enough for their hospitality. Maybe next year with a bigger squad?